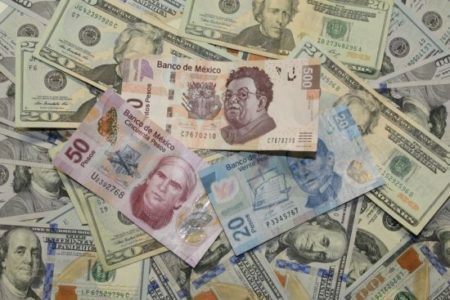 With more and more money laundering reports and Mexico’s head-on fight against fiscal fraud and tax evasion, the country is set to receive a good grade in the Financial Action Task Force on Money Laundering (FATF)’s evaluation this year. Following its anti-fuel theft policy, as well as its thorough followup of phony operations and outsourcing schemes, Mexico has shown a slow but steady recovery. Last week, Mexico participated in FATF’s plenary meeting in Paris, presided by the United States under representation of Marshall Billingslea, the Department of Treasury’s Assistant Secretary for Terrorist Financing. Thereupon, Santiago Nieto, head of the Financial Intelligence Unit (UIF) for Mexico’s Ministry of Finance, commented that reports regarding money laundering schemes would show an increase over the 78 reports registered in 2018. Whereas in 2018, the Assistant Attorney General’s Office for Special Investigations on Organized Crime (SEIDO) seized a total of MXN$800 billion (USD$41.9 billion), Mexico’s new administration has so far seized MXN$900 billion related to fraudulent activities involving fuel theft. Furthermore, he declared that the Senate would push through an initiative to reform the Federal Criminal Code, seeking to dissolve companies that lend their support to natural persons involved in terrorist activities. “There is a commitment to generate a response on the part of the UIF at FATF’s plenary meeting on July,” Nieto commented at a session with members of the Mexico City government. Mexico is currently undergoing an evaluation by the International Monetary Fund (IMF) and the FATF to determine in what way the country is working to fight money laundering and the financing of terrorism. “We must issue a followup report on the FATF’s recommendations,” he added. For his part, Carlos Romero Aranda, head of the Fiscal Prosecutor’s Office, informed that Mexico had held bilateral meetings with Spain and the United States. The prosecutor pointed out that the meetings would help strengthen information channels for the exchange of intelligence between nations, aimed at apprehending the world’s largest frauds and tax evaders. Romero Aranda commented that Mexican diplomats had had the chance of knowing some of the strategies implemented in other jurisdictions to fight money laundering. At the FATF’s plenary meeting, world diplomats also discussed the “need to adequately mitigate the money laundering and terrorist financing risks associated with virtual asset activities,” stressing the need for more effective regulation and monitoring of virtual asset service providers. The meeting led to the implementation of new standards that are to be applied in Mexico as of July this year.